Every Friday I share 4 things that I think you’ll find really interesting in the world of music. Enjoy this edition of 4Friday! Leonardo DaVinci dreamed of a piano that would sound like a string orchestra. The Viola Organista was an keyboard instrument that only existed in the sketches of Leonardo da Vinci until Polish concert pianist, composer and instrument maker Slawomir Zubrzycki brought it to life. You can learn more about it here. I never knew that da Vinci had a musical imagination! Wonderful! This video gives a better view of how this remarkable instrument works. Geoff Smith is the inventor of the Fluid Piano, an all-acoustic piano that has special sliders to bend the pitch of every note. Amazing musical possibilities that once only existed in electronic keyboard instruments! Film composer Nicholas Pike demonstrates the Wheelharp, built by Jon Jones & Sons. You’ll notice that this is a similar mechanism to the da Vinci Viola Organista mentioned above, but without the rich piano soundboard and…well…this sounds pretty creepy! Perfect for a scary film score! The PianoGuys are incredibly popular, and deservedly so. I love their creativity and sense of joy in all their musical productions! And since Christmas is nigh upon us, here is a wonderful, imaginative rendition of “Angels We Have Heard On High” played by 5 pianists on one piano, utilizing so many creative ways to get beautiful sounds out of an acoustic instrument. Merry Christmas, Everyone! I wish all of you A Musical Life! We’re celebrating my first year of teaching piano online at ArtistWorks! From now until Tuesday, December 8, save 25% off of a 1-year membership in my Online Popular Piano School. Use coupon code NEW2015 to get your discount. Watch this video to learn how you can learn to play your favorite piano songs with me in my Online Popular Piano School at ArtistWorks. In this week’s edition of 4Friday, I explore the amazing world of music made with straw flutes. That’s “straw” as in “drinking straws” from McDonald’s! 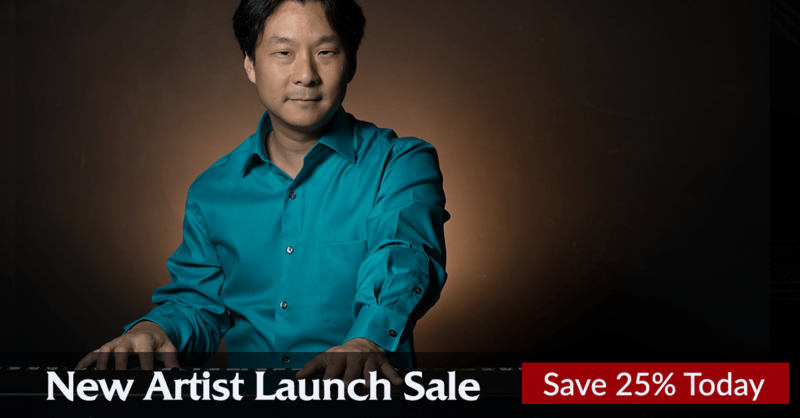 For 1 day only, save 35% off of a 1-year membership for Online Piano Lessons with Hugh Sung at ArtistWorks. If you’ve ever dreamed of learning to play the piano, now is your chance to have learn from a master teacher for only pennies a day! With Hugh’s Online Piano School at ArtistWorks, you can watch hundreds of video lessons on some of the world’s most popular piano songs. You can also post unlimited videos of your own playing using ArtistWorks’ Video Exchange Learning System and get personalized video feedback directly from Hugh. No need to schedule lesson times – you simply post your videos anytime you want, as frequently as you want, and Hugh will respond with a Video Exchange response. With Hugh’s help, you’ll make the best progress in the fastest time learning your favorite piano songs. Use coupon code FRIDAY35 to apply your 35% savings off of a 1-year membership. But hurry – this coupon code expires at 11:59 pm tonight! Video Exchange lessons provide unlimited 24/7 opportunities to learn directly from a teacher. Video Exchange lessons aren’t limited by live time restraints. Recording Video Exchange submissions hones performance-level focus. The video below explains how Hugh’s Online Popular Piano School at ArtistWorks works. 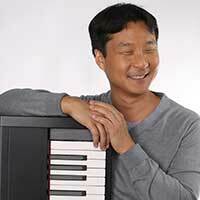 Visit Hugh Sung’s Online Popular Piano School at ArtistWorks and sign up for your 1-year membership today! Music gives us the space to grieve. In light of the tragic events of last Friday in Paris (and let us never forget the other tragedies around the world and here at home), here are 4 French songs to help us mourn. Wow! We just hit iTunes’ “New & Noteworthy” podcast list in the Music category! 4Friday is a weekly series that I started on my personal website at http://hughsung.com where I share 4 musical things I found interesting in the past week. They can range from songs to podcasts, blogs and books, and other musical sundries. (I must confess, I “borrowed” the idea from Tim Ferriss’ excellent 5-Bullet Friday emails). Enjoy! Play around with WordPress – I’ve been a Joomla power user for so many years, but very curious about WP, given that most podcasters seem to favor it, so…here I play! Well, that’s the hope at least. Here’s hoping for smooth starts!